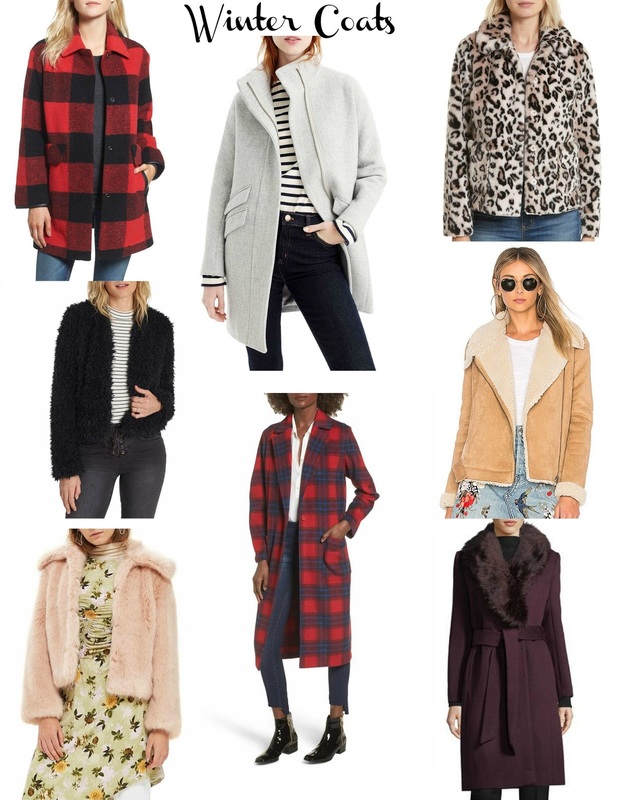 There are so many great coats out right now and this is the time I begin to invest in them before it's the middle of January and everything is sold out. Womp womp. So I thought I would round up a variety of options that have been on my radar. There is something to fit almost any occasion, style or price point and one of the most important things I learned living in NYC was to build a coat wardrobe (that and try avoid the subway in late August/early September #waytoohot). It isn't something that I was able to do in one season, but I try to fill in gaps each year so after a few years I have myself a pretty decent selection of coats that would work with a variety of outfits and events. And living somewhere that gets cold during the winter means that my coat is often the only thing people see so it has to be a bit more exciting! In addition to the round up at the top of the post, I linked a few more fun styles in the widget below. Great recommendations !! I was browsing the Nordstrom website on Saturday and found the Pendleton barn coat too. That was a brand I hadn't looked at before and am loving the green and black version of the barn coat and a couple of their other coats. Was wanting to have a couple of other coats for winter this year. Hope you have a great day. I haven't bought anything from this brand either, but I was really impressed with how cute the Pendleton one looked too!